How Likely Is Google Maps to Approve That Anti-Spam Edit? 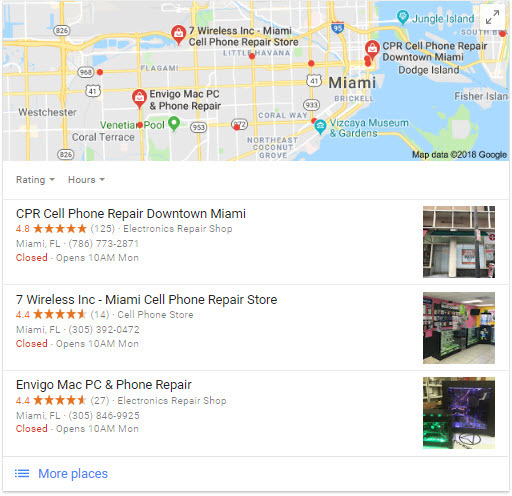 Fighting competitors’ spam in Google Maps is an unpredictable, mushy part of local SEO, and it requires the patience of a monk. Competitors ethical and unethical come and go, their rankings bob up and down, and Google flip-flops on policies, enforcement, and safeguards. The least-predictable part of all is: what happens to the anti-spam “edits” you submit to Google in your attempt to clean up the map? That depends. An edit is not an edit. You can make many kinds of anti-spam edits on Google Maps. Whether Google rejects or accepts yours depends on the specific type of edit you make, on the particulars of the business in question, and on your history of submitting edits that Google ends up accepting. 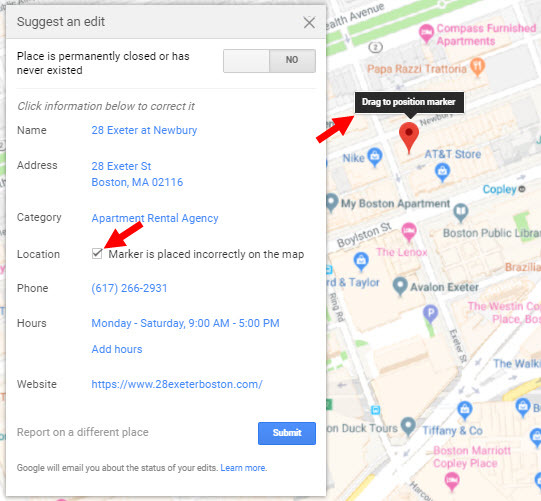 Most Google Maps edits (or other requests) you can make are more likely to be approved if the business’s Google My Business page is unclaimed, if you’re a mid-to-high-level “Local Guide,” or if the page you’re trying to edit has a checkered past. It also helps if your edits are based on the truth and you make them in good faith, rather than in an effort to hurt competitors who play fair and square. Still, in fighting Mapspam there’s always a “I wonder what this button does?” component, which you probably want to avoid as much as you can. Remove a stuffed-in keyword from the “business name” field. If a keyword or search term is not part of a business’s real name, and that’s obvious to you, there’s a good chance Google will agree. Remove a stuffed-in city/place name from the “business name” field. As with extraneous keywords / search terms in the name, you can probably get Google to remove the city name or other place name if it’s clearly tacked-on. Sometimes it’s obvious which part of the business name is “real.” Often the spammy competitor will put the real business name first, and stick a bunch of keywords and maybe city names after it – perhaps separated by a dash or similar character. If all the extraneous words are lumped together and you edit them out, Google is more likely to approve your edit. If the real name is mixed into the keywords, your chances are still good, but Google is less likely to approve your edit right away, and slightly less likely to approve it at all. That’s been my experience, at least. My guess is Google has a harder time separating the wheat from the chaff. Remove a listing so spammy it could serve only as a lead-gen method for a “real” business. If its name is an exact-match search term, and it’s got an exact-match domain name, and especially if the address is elusive or hard to find or you can’t pull up its business license, there’s a good chance it’s a lead-gen listing for a “real” business. You may not know which competitor that is unless you call (and pretend to be a customer). Just the same, Google may approve your request to remove the listing. Change the site URL or landing page URL field. Flag down a negative review of your business from a non-customer. Only expect Google to do something if the text of the review makes it clear the reviewer is a competitor (rare), or if it’s very un-PC, or if the reviewer has a fishy pattern of reviewing other businesses in your industry. Getting other people to flag down the review seems to help get Google’s attention. This one’s murky. I don’t know how* Google would corroborate or reject a claim that a business has closed. 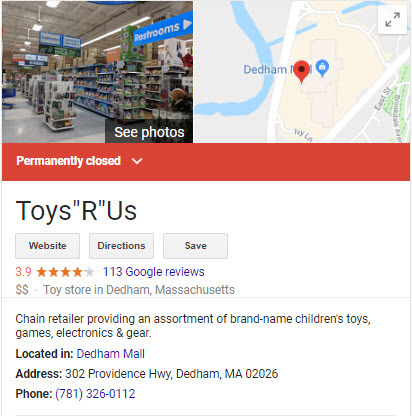 I’d be tempted to say it depends on how many other people flag a business as “permanently closed,” if not for the fact that Google often approves that kind of edit instantly after I make it. Flag down irrelevant or inappropriate photos. This is a rare time you can give Google specific details as to why you want the photo(s) removed. 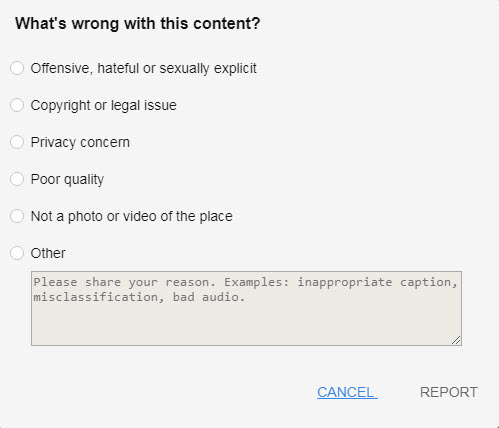 Perhaps that’s why, on the relatively few occasions I’ve reported photos, Google’s pretty good about removing them. Edit the “business name” field significantly, or change it completely. Even if the name is complete BS, Google seems to consider complete name-changes major surgery, and usually won’t approve your edit right away. Whether Google ends up approving it at all (days or weeks later) is a coin-toss. Remove stuffed-in keywords or city/place names from the “business name” field when online branding is consistent. If it doesn’t appear to be a pure lead-gen listing for a “real” business (see earlier point), getting the name fixed is a tough putt. In my experience, it works out that way even if the name used on Google My Business differs somewhat from the name on the business’s license. Probably the best time to escalate your request at the forum. Remove a fake/questionable ratings-only review of your business. Unless the reviewer has a pattern of crooked behavior, Google probably will leave the rating up. This one’s the inverse of the situation I just described: that 5-star rating of your competitor’s business probably will stand, unless the same reviewer left negative ratings of other businesses in the same line of work (like yours). You can see the other businesses someone reviewed or rated by clicking on his or her username in the review. Google has all kinds of rules on the addresses you should and should not use, but does little to enforce those rules. 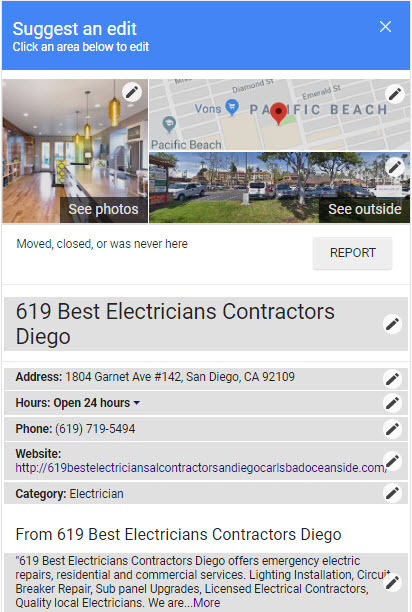 Unless you can upload a photo that makes it plain as day to the uninterested stiff at Google that your competitor is not at his/her stated address, that listing will probably stick. I can’t remember the last time I needed to move a map pin, so I can’t say how likely Google is to accept that kind of edit. Because most business owners get the categories basically correct, because you can only choose from a list (and not specify custom categories anymore), and because Google often “fixes” the categories automatically, very rarely do I ever suggest a different category. Don’t remember what happened the last time I did, so I’d appreciate any fresh intel on this one. Any types of edits I missed? What’s been your success with different types of edits? What about the types of edits I couldn’t remark on? When working with a clkient, what is the best way to handle a business with 2 locations? I think only one should be registered in GMB and other location/s shown on a website. It’s fine to have 2 GMB pages for 2 physical offices/locations of the same businesses. I’d recommend it. 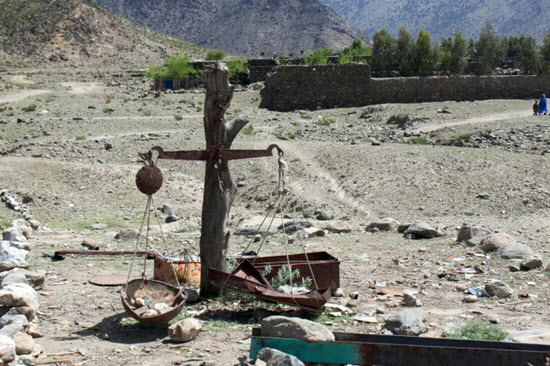 We got a competitor’s locality addition removed from google maps. They had appended the county to their name and so showed upon google map for the main business category and for the county name. Once the county was removed from their listing in google maps, I started to wonder why they did not disappear from the 3-pak – for the term they had ranked for before. They have no reviews by the way in google. 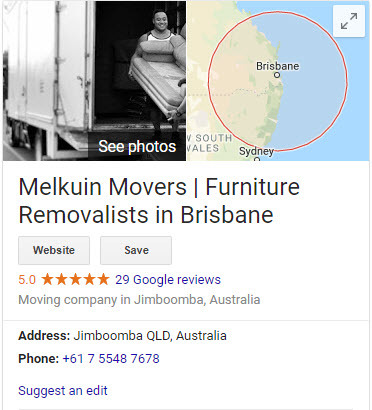 So I looked at their google my business listing. I discovered that now they had stacked one address above the other – one had their name, then address, then town, state and zip. Below that was the old address name, then address including town, then county, state and zip on third line. The old address matches their footer and the new address matches what is on their contact page. They are very persistent and not sure what to do next. Any advice? Competitors’ rankings don’t drop right away, even if your edit is successful. I suspect Google wants it that way, because you can imagine what would ensue if people could see the immediate effects of their edits on Google Maps rankings. Kind of like how there’s a lag time between when you do good work on your site and when you see the payoff in terms of organic rankings. I found their double address in the map finder. HOwever, it is now gone, so I assume that my edit worked. That’s pretty bizarre. Not sure I’ve seen a “double address” of that kind. I went out to see if the Electrician you listed was real. It turns out they are using a UPS store mailbox. Yeah, for a business spamming as blatantly as they are, they’re pretty bad at covering their tracks. A feat only surpassed by Google’s bad policing. With respect to moving a map pin, I’ve done that on a number of occasions. It is usually accepted but not sure if the fact that I’m a Google Trusted Photographer has any impact. One of the reasons to move the pin is so that you can help a business get a better Street View default pano for their ‘see outside’ image. For example, if the Street View car had gone by for its regular photo update of that street during construction, it’s not unlikely that the new image would show that instead since it is new. But by simply moving the pin a bit, you can end up with Google picking up a past Street View pano as the default ‘see outside’. It’s also useful for a business where, say, a delivery truck happened to be in front of the shop signage on the day the Street View car came along. I only wish that the virtual tours I shoot (and all of us Google Trusted Photographers shoot) would be able to pick up our outside / signage shots instead for the see outside image. All just another day in the world of that big beta test called Google. Thanks, Marc. That’s an excellent tip. I have found moving a competitors map pin gets accepted almost immediately. I see competition with several spam GMB’s around the relevant geo’s of a city and will make small edits at a time. I recently dragged a spammy GMB pin to the actual business GMB address and it worked!! They still have two GMB’s but they are on top of each other. Will experiment with this more as some have 4 or 5 GMB’s scattered around the city. 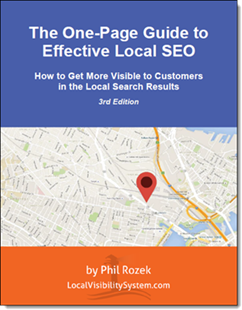 Phil, I am a Level 6 Local Google Guide. I have been moving Map Pins for quite a while without any major issues. It could take some time to take effect. I have done this in my neighborhood and areas that I am familiar with. I move pins to reflect reality. I do not like pins in parking lots or out of order in strip malls. Moving Pins without other edits works for me without any problems. I appreciate the intel, Dan. (A Level 6 here, too.) I probably haven’t paid as much attention to map pins as I should, but yeah, their accuracy seems all over the place. Great post! Thanks for sharing your experience, Phil. It also seems to depend on whether you’re reporting an issue on the Maps app or on the desktop maps.google.com site. I think it’s even a better chance of getting it changed if you have location history turned on and have been near that business. Plus, if you’re a high-level “Local Guide”, I’d also imagine that would help. That’s a great insight (or hunch), Justin. To what extent have you found the Maps app to be easier sledding? 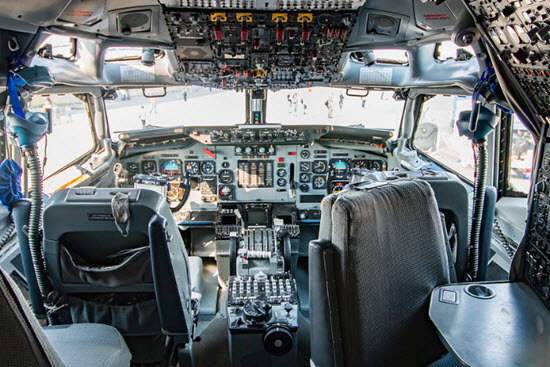 If it’s something you’ve tested and have drawn some conclusions from, the “Welcome” mat is out if you’d like to do a guest-post here.